Today marks the sombre 60th anniversary of Wilbert Coffin’s execution in 1956 at Bordeaux Prison in Montreal. 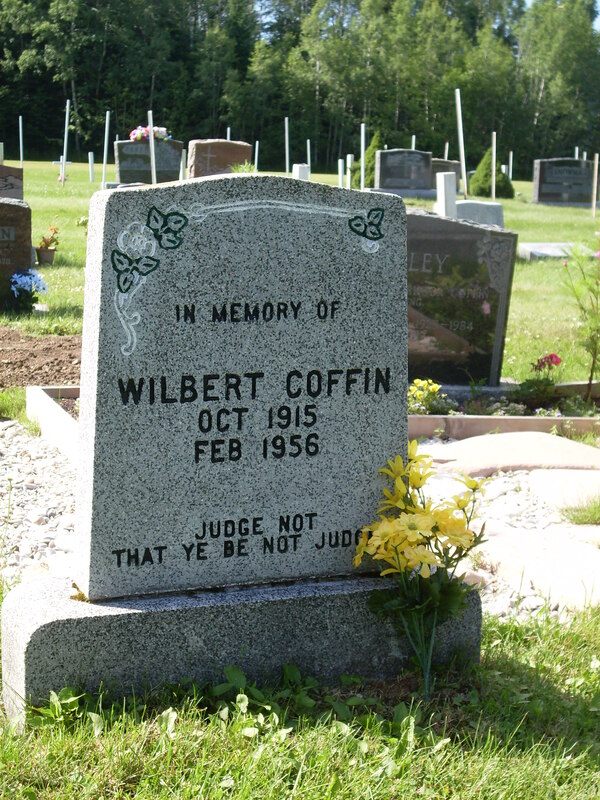 Wilbert Coffin was a mining prospector in the Gaspé area who had served his country in the Second World War. In 1953 he was accused of killing three American hunters in the woods near Murdochville even though he always proclaimed his innocence. He was convicted by jury on circumstantial evidence alone and sentenced to the death penalty by hanging, a sentence carried out three years later. Many people from far and wide have insisted Coffin was innocent with the provincial government of Maurice Duplessis facing tremendous pressure to convict someone in order to save the lucrative American tourism industry which was flourishing in the Gaspé in the 1950s. Sometime shortly after Wilbert Coffin’s execution in 1956, Gaspé songwriter Milton McGregor wrote a song commemorating Coffin’s story which he entitled, “The Prospector’s Last Letter.” Many local singers have sung McGregor’s song since then. Here is a live recording of this song that Leo Fitzpatrick recorded in 1963 at Percy Thompson’s hotel-bar on his reel-to-reel tape recorder. The singer is Leo’s friend, Barachois-area singer Claude Rehel. At the time, Leo was working on the road between Belle-Anse and Barachois and boarding at Percy Thompson’s hotel-bar in Barachois where Claude often sang. Leo was also friends with Wilbert Coffin and remembers him as one of the occasional patrons whom he would chat with while Leo worked at the Gaspé Hotel in his early years. Photo by author (July 2011), St. Andrew’s Anglican Church, York Centre. Claude sings the song in the powerful old-time “ballad” style—that is, with no instrumental backup. This was the way many singers once performed in rural communities, their voices powerful enough to carry the song and story amid a roomful of people. Claude was about 28 years old when this recording was made; nonetheless he had the voice and style of a seasoned ballad singer twice his age. Sadly, Claude passed away just a few weeks ago and I never had the chance to meet him and hear more of his strong, expressive singing. I spoke with one of his daughters today and she told me that Claude used to sing this song often. Throughout the years, it was Claude’s favourite song and he continued to perfect his rendition of it. Like many Gaspesians, Claude remained convinced that an innocent man had been hung and frequently talked about the Coffin story. Although this an old recording and there’s quite a bit of noise from the audience, you can really hear the conviction and power in Claude’s voice as he tells us the story. In their own way, all these musicians ans songwriters have been part of the effort to keep the memory of Coffin’s story alive, a story which speaks to all whom the justice system has failed. I’m so happy the family can hear Claude’s voice still through this recording. Thank you for sharing your comment, Laura. Thanks for posting this article & recording. We’ll cherish it forever. I have a cassette of my cousin Milton McGregor singing his composition. A copy will be given to Glenn Patterson when he returns to Mtl or Gaspe It’s very sad. Hi Penny. Thank you so much for your touching comment. I was very saddened to hear of your father’s passing the other week. I’ve enjoyed this recording countless times while driving around the coast where it played on my car CD-player. I’m so glad to have helped make this recording available to the family. My only regret is never having had the chance to meet your father while I was out there in 2015. Take care. Hi Lyn. Thanks for your touching message. I’m so sorry for your loss but so happy to know that this recording is meaningful for you. Take care are write anytime. I remember the story well.